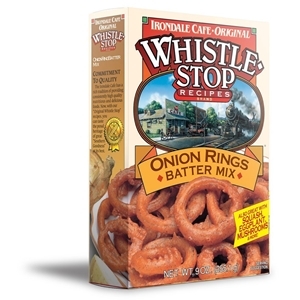 Whistle Stop Recipes Onion Ring Batter was blended to provide the tastiest onion rings possible. It is also great for zucchini, eggplant, mushrooms and zesty fried green tomatoes. Not only does our Onion Ring batter taste great, but it coats very well and remains crispy on onions and other vegetables.